Last time the chair went on sale it sold out in one minute. 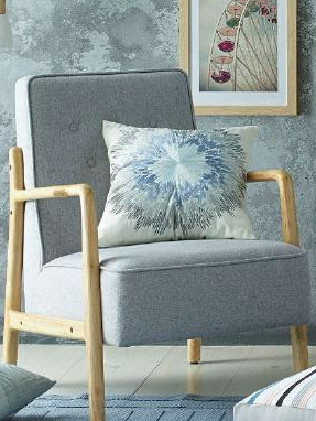 IT'S the piece of $199 furniture Aldi fans are willing to line hours for - and next week is sure to be no exception. 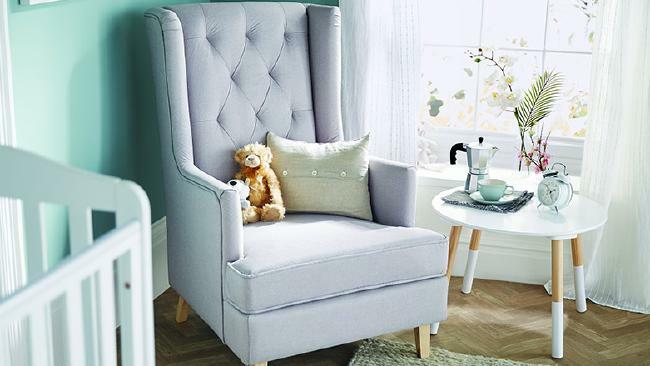 When ALDI released its baby rocker armchair in July last year - and again in January this year - shoppers around the country went to desperate lengths to nab one. 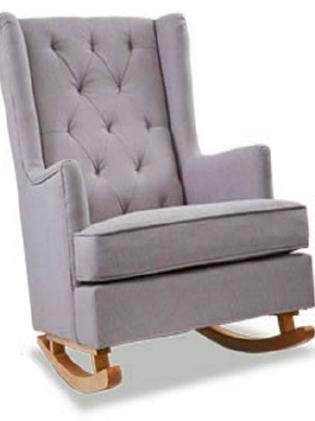 Just moments after the rocking chair went on sale as part of the discount supermarket's weekly Special Buys event in January, the item was sold out in most stores around Australia. It was clear it was a winner - even if mums and mums-to-be went a little crazy trying to get their hands on one. Well now it's making a comeback. An armchair that rocks? What’s not to love? The $199 chair can be converted in to two different ways. Knowing how popular it was, Aldi has decided to bring it back just six months after the last sale. 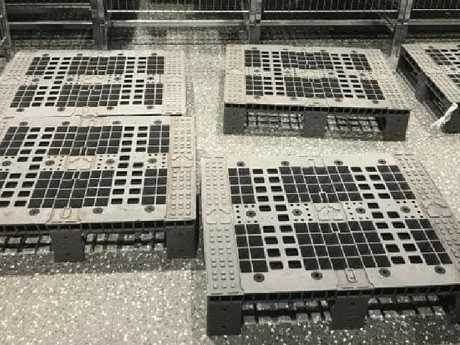 The official Aldi Instagram page shared the good news in a story on the social media site this week, with a sneak peek of the catalogue featuring the popular nursery item. The chair, available with normal legs or rocking legs is officially back on Saturday, July 7, and for the same price - $199. Last time the chair went on sale, customers flocked to Aldi stores around the country in an attempt to be the first inside once the store opened. In Chatswood, only eight people managed to get their hands on one when the store opened at 8.30am. By 8.31am, all the chairs had sold out. Last time they went on sale, the chairs sold out in minutes. Customer Lukas Jenkins claimed management at Aldi's Scoresby store in Victoria only handed out tickets to female customers in the queue. "Standing right at the front of the cue [sic] with four or five other people. Manager comes to the door with 10 tickets in order to avoid a rush. Smart. Only handing out tickets to the women in the gathered crowd. Incredibly sexist and offensive!" Mr Jenkins wrote on Aldi's Facebook page. But an Aldi spokesman refuted Mr Jenkins' version of events. "We have followed up with the team at Scoresby who confirmed that 10 tickets were given to the first 10 people at the entrance, this was done with the assistance of other customers in line and included both men and women," the spokesman wrote on Facebook. In September last year, a similar looking chair sold out in just 30 seconds. 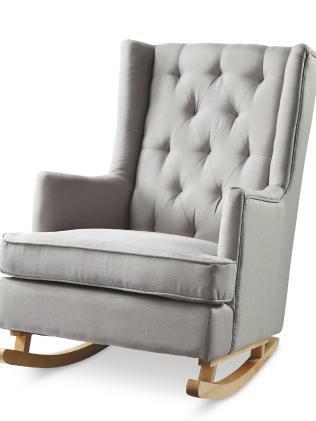 Cheaper at $99, this chair, which doesn’t rock, sold out in seconds. People just can’t get enough of these chairs. The discount supermarket released their "Style your room" range across the country, which included a selection of home decor products including quilt covers, cushions, throw blankets, wall art, rugs, side tables and towel sets. 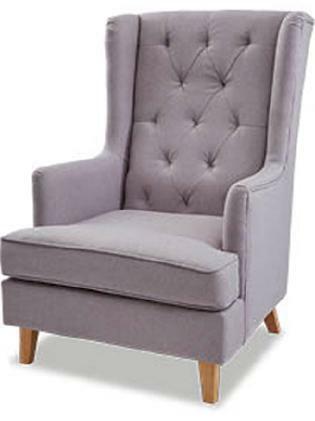 But it was a grey $99 fabric accent armchair that sent shoppers into a tizz. Some people lined up an hour ahead of doors opening in the hope of grabbing the designer-look lounge item - which sold out at the Chatswood store in Sydney within 20 seconds. Following the sale, some shoppers were also left disappointed by the lack of stock in store. John, who arrived at 8am, was on a mission to grab two of the armchairs - but only walked away with one. "I wanted two … I only got one … so I might try another store," he said. "It was pretty crazy … too many people … people were grabbing things and putting them aside for their friends." Colleagues Sarah and Vera - who had never lined up for an Aldi sale before - had taken the morning off work and were after four bedside tables each, but were left in the lurch when the store only stocked three tables in total. "We got here at 8am," Sarah said. "Our strategy was to make a mad dash for the items we want … but they didn't have enough marble side tables. So we might have to get over to North Sydney."